UPDATE to April 2017 post, Russian Dossier with complete text: DNC and Clinton campaign paid for Fusion GPS report used by FBI to investigate President. The following was emailed to me on Saturday from the White House. Although I am retired and there is no boss to give me a pay raise, I imagined that, at least, my children and grandchildren would benefit, and perhaps send me a fancier birthday card or buy me a funny hat with all the extra cash in their checking accounts. “My Council of Economic Advisors estimates that this change, along with a lower rate, would likely give the typical American household a $4,000 pay raise. Mr. Trump said the other part of creating this magic pay increase in our wages will come from the GOP plan to lower the corporate tax rate from 35% to 20%, bring it below the average family’s tax rate of 25%. Is there a fly in this ointment? Something the speechwriters overlooked, perhaps intentionally, just to get public support, what President Trump calls “Fake News”? The facts are a typical household will indeed get $4,000, according to the White House economists, but that’s not $4,000 next year, but $4,000 in EIGHT years, or $500 a year, according to White House documents. The pay raise promise assumes that corporations will bring overseas money back to the U.S. and invest it in raising wages, not paying dividends to their wealthy investors, or buying back stock, or paying executives even more obscene salaries. Even if inflation is 2% a year, the annual total after eight years will be $51,847, an increase of $6,711. 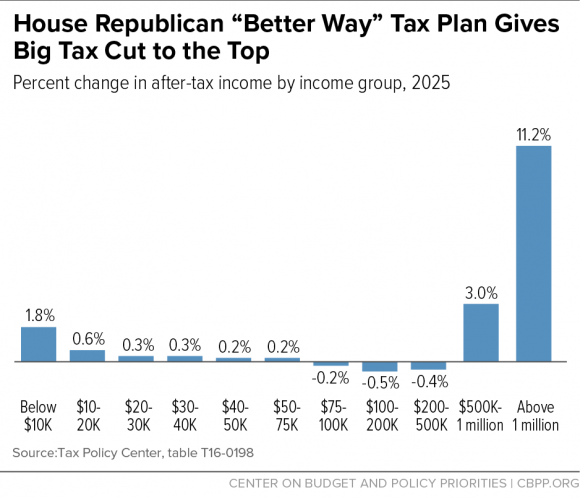 The GOP promise of $4,000 is a safe bet – allowing for inflation alone.